Unite, which represent staff at Barclays, has today (April 9) expressed dismay at the news of approximately 460 job losses at the bank. Barclays has informed staff in Coventry Westwood Park and Birmingham Snowhill that their jobs are at risk. Unite is alarmed that 350 jobs will be lost from these two large sites in the West Midlands. Further job losses will impact Canary Wharf and Fleet, and smaller numbers of roles at risk in Liverpool, Northampton, Cardiff, Belfast, Poole, Leeds, Stockton on Tees, Petersfield, and Manchester. It is anticipated that around 100 jobs will be created in other locations in the UK, namely Northampton, Manchester and Glasgow. Unite is hopeful that in those locations colleagues there will be redeployed, in many cases, into more senior roles. “This staff reduction programme is extremely alarming for the workforce at Barclays,”said Unite national officer Dominic Hook. “Unite is very clear that the decision to cut around 460 jobs will result in a large number of compulsory redundancies which will bring a noticeable impact on customer service across Barclays. “The decision by Barclays to make significant job losses in the West Midlands is a huge blow for the workforce,” he added. “This is even more alarming in light of 170 staff from Fraud Operations were cut in Coventry last year. “Unite is in discussion with Barclays regarding its future site strategy in order to gain vital clarity and job security for the workforce. The union has challenged the bank on service quality levels due to the loss of knowledge and experienced staff as a result of these changes. 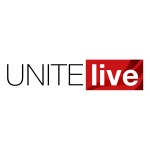 Unite will have representatives on site today across the country to provide support, guidance and, where needed, representation to members who are at risk of redundancy.